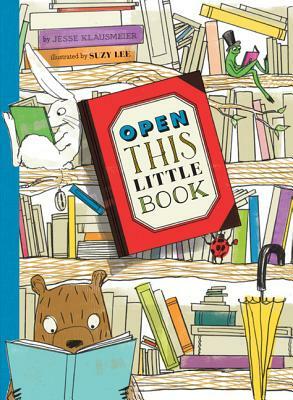 What will you find when you open this little book? A fun story? Sweet characters? Enticing pictures? Yes! But much more. Open this book and you will find...another book...and another...and another. Debut author Jesse Klausmeier and master book creator Suzy Lee have combined their creative visions to craft a seemingly simple book about colors for the very youngest readers, an imaginative exploration of the art of book making for more sophisticated aficionados, and a charming story of friendship and the power of books for all. Suzy Lee's books Wave and Shadow were both selected as New York Times Best Illustrated Books. Born in Seoul, Korea, she currently lives in Singapore. Visit her website at www.suzyleebooks.com.